With the success of the Apple App Store, it seems that everyone is wanting a piece of the pie. Amazon is now looking to throw their hat into the ring and is releasing their own dev kit for their ever so popular Kindle. This just seems like it will be an epic fail. 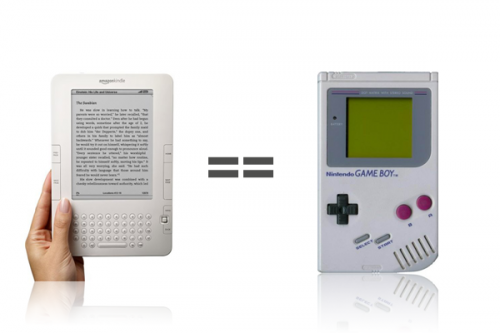 Who really wants to play video games on their Kindle? Maybe they can port Kirby’s Dreamland from the original Game Boy . Watching this video makes me appreciate the fact that I work from home. I was at Wally-World the other day getting a movie from RedBox with my wife when I noticed some guy enter in a code into the machine. The code was BREAKROOM. After watching him for a moment, I realized this code entitled him a free DVD rental. Now, RedBox is pretty stinking cheap ($1.50/night), but if you’re an avid movie watcher, this really adds up. So, I did some searching on the Google machine and sure enough, there are new RedBox codes that go into circulation every day. Each one giving you a free DVD. 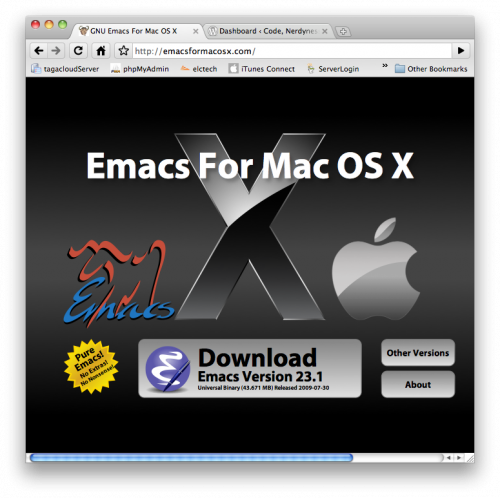 Users submit the codes and update the site with the last time they were used. That way, you always know which codes are currently working. 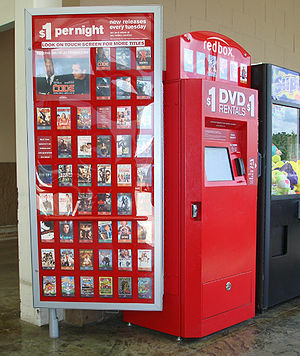 You simply need to enter the coupon code from the main screen or just before checkout at your local Redbox kiosk. When you do, you will receive a one-day free rental. 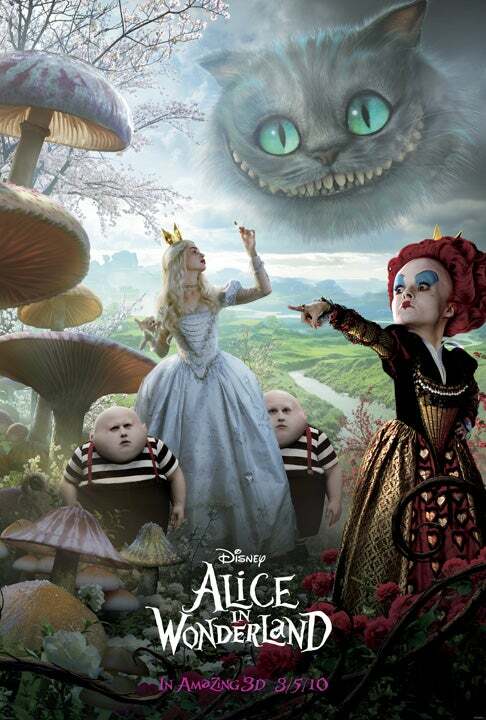 Any additional days you keep the movie will be charged at the usual $1.50/day. Recently TopCoder.com posted a list of algorithm tutorials from some of their “top coders”. To some, this should seem a bit obvious and if I am insulting your intelligence by discussing it, I am sorry. But, one of the main reasons I want to discuss this topic is, I was asked this question in a job interview for Lockheed Martin. Here is a brief example to demonstrate what I mean. // Output "The value of i is 5"
// Output "The value of i is 6"
So, now if you are ever asked about this in an interview, you will have a response. So, I though I’d start this series called Programming Tip Of The Day to write about useful things I come across in programming. Both to educate my readers and as a personal archive of ideas and tips. I will kick it off today with a quick rant about the ternary operator. I <3 the ternary operator. It’s quick, efficient and saves a lot of ugly code. This is much nicer than an if statement. So here is a brief example about how a ternary operator can replace an if-statement. That is so much easier to read (IMHO). You can even do clever things in printing. Here is a small example in PHP for using the ternary operator when doing an echo. Most languages support the ternary operator. Check out this wiki page if you want more info. While mashing the keyboard (as I often do when debuggin poorly written outsourced code), I stumbled upon a very useful OSX hotkey. This command will cause the Dock to go in and out of auto-hide mode. Not the most useful, but very helpful to geeks like me who rearrange their desktop every day. 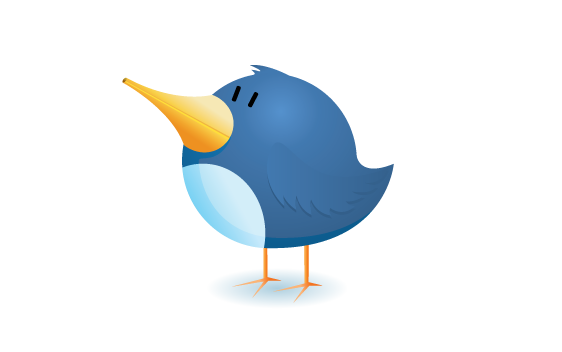 TwitPop is a WordPress plugin I wrote with one goal…To make you more popular on Twitter. There are sites that spring up from time to time claiming to get you more followers on Twitter if you follow X amount of people on the follow train. Well, now you can create your own Twitter train on your wordpress blog and really get more followers. The best part is, you add your username in the admin panel and EVERYONE FOLLOWS YOU! Think of the possibilities… You could be a Twitlebrity. To add to the excitement, everyone that uses your TwitPop plugin will Tweet a link back to your blog. This promotes your blog as well as your Twitter account. Check out how TwitPop works below. Log in to your Twitter account below. You will automatically follow the people that have visited this page before you (no more than 20). Then, your Twitter username will be added to the list and you will be followed by the next 20 people to use this plugin. With the explosion of Twitter and such services, the need to have long URLs shortened has drastically increased. Naturally, many services to shorten URLs have sprung up as well. Most of these services (that are worth using), have some sort of API that will allow developers to send a long URL to them, have it shortened and then returned. This type of service allows other developers to write applications that have the ability to shorten URLs right inside of them. Recently, I had to write a PHP class to work with URL shorteners. So, I made it support multiple shortening services and have decided to share it with you. You may download my URLShortener PHP class here. Feel free to leave any questions or comments in the comments section. The publishing that I’m writing the book for is having a huge Friday the 13th sale. They are offering a $13 discount on all of their books. For those of you who don’t know, Manning publishes all of the “In Action” books. when checking out and you will get the discount. Although my book iPhone In Action 2nd Edition hasn’t been released yet, Manning has some other killer programming books for sale. As you may know, I am the developer of the site FreshApps.com. One thing we had been doing to make some extra money is to use Linkshare to be an affiliate for Apple. If you don’t know, Linkshare is a service that allows you to become an affiliate of thousands of companies. You simply select one of the companies products, get the linkshare link, and put the link on your site. Now, every time someone clicks that link and makes a purchase, you will get a percentage of the revenue. 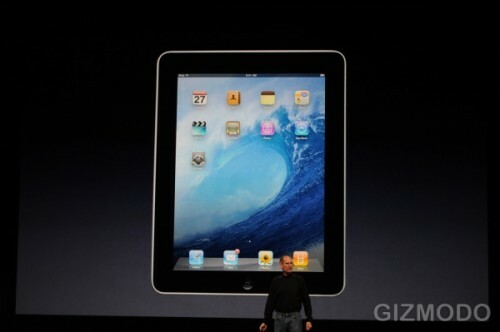 The only problem was, we have thousands of apps and converting the links manually seemed like such a daunting process. So, as you can imagine we converted around 10 links and never looked at it again. Well, earlier today, the designer of the site JJ Mancini, asked me to check and see if linkshare had an API. I checked it out and sure enough, they did and it was no more complex than interfacing with a URL shortening service. So, I wrote the script and within minutes, all of our downloads links were converted into something that can now make us some revenue. Now that I have created the script, I figured I would pretty it up and share it with you. Keep in mind, the script is stupid easy, so if I am insulting your intelligence by showing it, I apologize. And that’s it! The variable $linkShareLinks will now contain all of the App Store links converted to your account’s linkshare url. If you have any site with that contains ads for apps in the app store (review site, developer blog, etc…), you would be crazy not to integrate with linkshare. Give it a try, and feel free to ask questions in the comments section. The culture of Digg is generally very liberal (to say the least). That is why I was very surprised to find one of the top stories of the day entitled ”Was Jesus A Real Person?”. Obviously, the comments section of the article was full of people arguing about the matter. I found the article to be quite well written and made a stellar case for the existence of Jesus. So whether you are a believer or not, you should check it out. Take a look for yourself and let me know what you think. That’s right. With the latest release of TweetPress (version 1.1.1), you can post photos directly to Twitter from your WordPress blog’s gallery page. Here are the steps to do it. It’s very quick and easy. If you have any suggestions for TweetPress please contact me, or leave comments in this post. 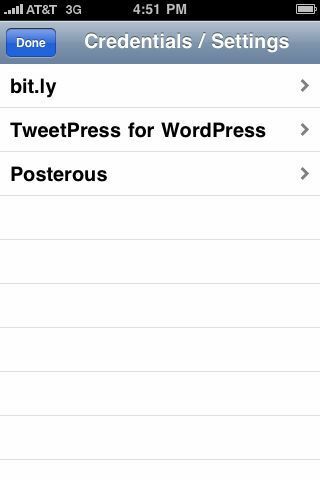 I just finished development of this WordPress plugin and Andrew Stone of Twittelator has integrated it into his latest version of Twittelator Pro. As of this post, that version is still in review, so you will have to wait until it is approved to make use of TweetPress. I have some other very big plans for future releases of TweetPress and if you have any feature requests, feel free to drop me a line. 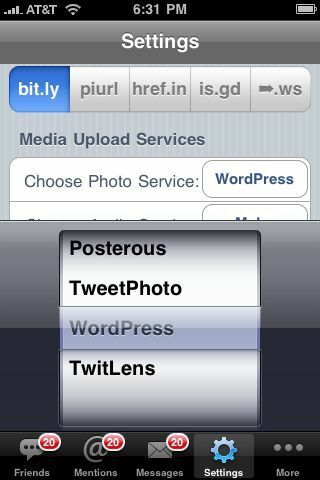 I will do a post as soon as the latest version of Twittelator is approved and demo how it integrates with TweetPress. A couple months ago, I was asked by someone on Twitter if they could “introduce me to someone”. I found this question a little odd so I responded with “like a girl or a developer?”. I often tweet about my wife, so I was hoping he was not referring to a girl. He replied with “no, someone at Manning Publishing, they are looking for an author for their book iPhone In Action”. 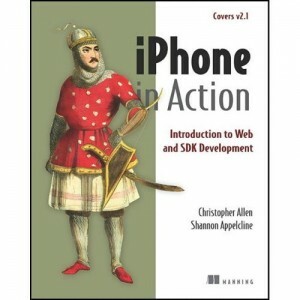 So, I was put in contact with Manning and they eventually offered me the position as one of the authors on the book iPhone In Action. 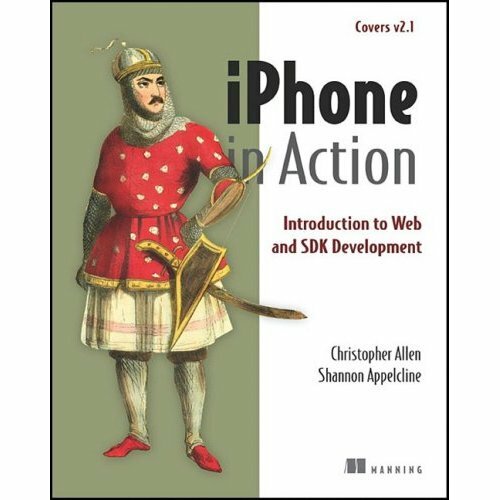 iPhone In Action is a book (that is already out) and details how to program for the webkit as well as the native iPhone OS. I will be removing the webkit chapters, updating some of the dated chapters, and writing about 6 new chapters related to OS 3.0. I will be posting about the book and my progress along the way (don’t worry I won’t stop my random tutorials about Twitter, WordPress, etc…). Just wanted to share that and say go out and buy the book (in December when I am finished and will get the commission ).